The title of this post is exactly how I feel about my birthday dinner. John surprised me with dinner reservations at Bern’s Steak House. He even set up a sitter for us. To say I was excited was an under statement. 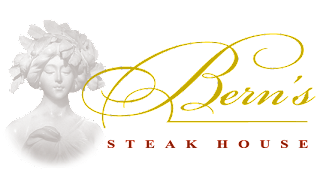 Bern’s has been called “America’s Finest Steak House”. It definitely lived up to this title. I was a little worried that it would be stuffy and too hoity toity. That was far from the truth. The restaurant was buzzing with life and character. Our server was very down to Earth and very accommodating. 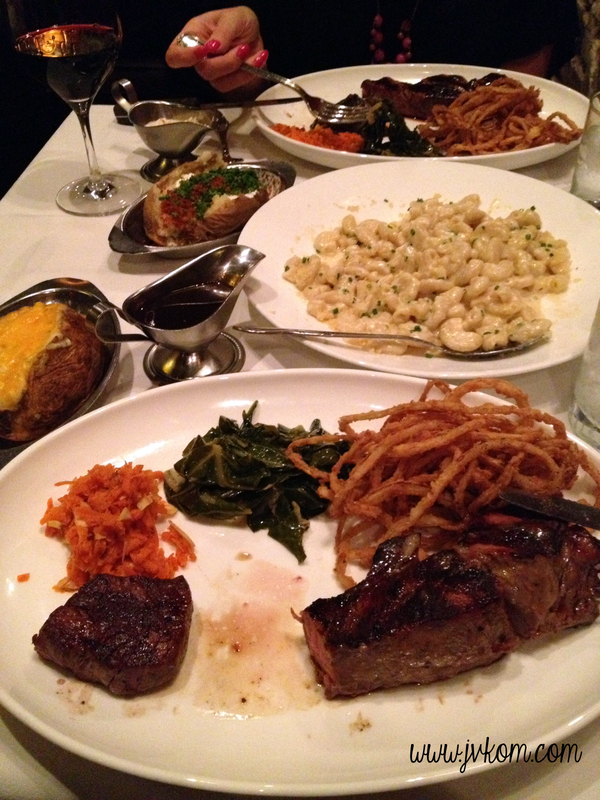 John and I both ordered a strip. Your steak comes with their famous French Onion Soup, a salad with freshly made, in house, salad dressing, seasonal veggies, onion straws, and a potato of your choice. It was all delicious. I really can’t put into words how good the food tasted. We also ordered the White Truffle Mac and Cheese. It melted in my mouth. All the food is made fresh in house. It comes from their own organic farm in Tampa. After dinner we took a tour of the kitchen and the wine cellar. There are anywhere from 75 to 100 people working in the kitchen alone at one time. It was really neat to see everything that was going on. Their grill is charcoal with oak and hickory chips and can cook up to 200 steaks at one time. The wine cellar! Wow! It houses almost 600,000 bottles of wine. It is the largest private collection of wine in the world. IN THE WORLD! It really was amazing to see. After touring the wine cellar we headed upstairs to the dessert room. The dessert room was awesome! Even the desserts are made from scratch on site. They are known for their coffee and their ice cream. Of course we tried both! They get their coffee beans from 8 different countries. They mix them and make their own blends. The coffee we had was soaked in Kahlua and chocolate liqueur for 10 weeks before being brewed. We had their flour less chocolate cake with their famous Macadamia Nut ice cream. Yumo! If you want to read more about Bern’s and see some pictures check out this article.